Price list valid from January 1, 2016. Prices include breakfast, parking and VAT! 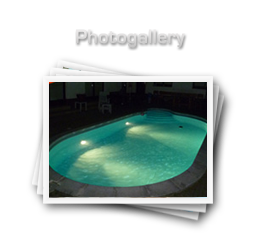 • Heated pool with solar collectors !! • Discounts for a larger number of persons or longer stay. • The bar at the reception, wellness sauna and massages to order. • 1 child under 2 years without charge. • We accept credit cards (we also accept American Express). • In case of cancellation, please call us, thanks. • Nearby you will find excellent traditional Czech pub NA KOVÁRNĚ (100 m). • Near nature reserve "Nature Park Eagle" and the recreation center at Silver Pond. • Parking for guests free of charge directly at the house and guarded by monitored system, parking also for large vehicles! support was accommodating in the pension Villa Pavlina to their full satisfaction.